A Nexus device is certainly put on the top of every Android device, wearing the crown of popularity. 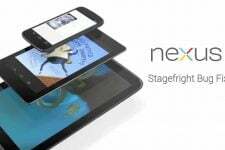 And so does the Nexus4; the latest Nexus smartphone flagship which stepped over and initiated its journey with the release of Jellybean 4.2.1 in November 2012. The Quad-Core 1.5 GHz HD device was rooted in its early days binding in more possibilities then ever. 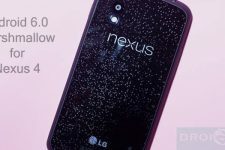 We already covered a pretty convenient guide on Rooting, Unlocking and Installing Custom Recoveries/ROMs on Nexus 4, which was followed the Best Custom ROMs series. And today, we bring to you the Best Custom ROMs 2013 Edition, which brings in all the latest and most updated Custom ROMs of the year 2013. Please make sure and cross-check that you meet all the prerequisites to avoid any failures during the Installation of these ROMs. If you have already completed on that part, then you’re free to go ahead and flash one of these. Now, lets move our eyes towards these marvelous ROMs. Installing a Custom ROM is easy, you can follow this guide. If the developer has provided some specific instructions, follow them strictly, if not, then head up to the link. The history of ParanoidAndroid or PA relates back to its origin with the release of Android 4.0 IceCreamSandwich. This ROM has always introduced something unique. Today, it is based on Android 4.2 JellyBean, offering the most remarkable features of Android’s era. The ROM developers hold a high place for initiating and maintaining concepts like Pie and Halo. Major features include Per-App DPI, Per-App Colors, Pie Control & Halo. 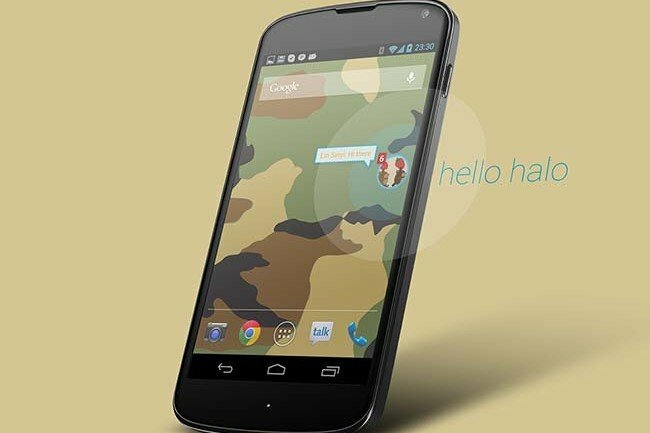 ParanoidAndroid is one of the most popular and featured ROM for the LG/Google Nexus 4 based on 4.2.2 JellyBean. The latest ROM series is v3.+ which introduced the concepts of Pie Control and Halo. Binding up eye-grabbing features and stability, this ROM marks its own milestone. Users who seek complete UI modifications and stability are highly recommended to use this as a daily driver. Instructions as per the developer on XDA thread. NOTE: PA3+ updates do not need Factory Reset, but you need to Install GApps as well. CarbonRom is an Android aftermarket firmware which began its journey with the release of Jelly Bean. It strives to offer its user fast, stable and feature-filled ROM with amazing Linaro patches. It is based on AOSP code, with incorporated patches and features from the very famous CyanogenMod, PA, AOKP and SlimBean ROMs. 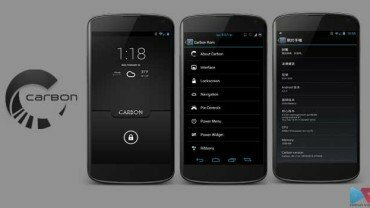 CarbonRom has its very own customization tab under the Settings to offer enormous features and mods . CarbonRom for the Nexus 4 is available both as daily nightlies and stable releases with direct developer support. The ROM is based on Jelly Bean 4.2.2. The latest stable release is version 1.7 which was released on 13 May 2013. Unfortunately, the stable v1.7 doesn’t yet include the marvelous HALO feature while the nightlies do have it. So, if you’re a huge fan of Halo and other features like AOKP ribbons, you might actually want to flash the nightlies but if you are seeking stability over latest features, you should be heading to flash the stable version. Visit the XDA thread to interact with other Carbon users and developer. No specific Instructions provided by the developer. 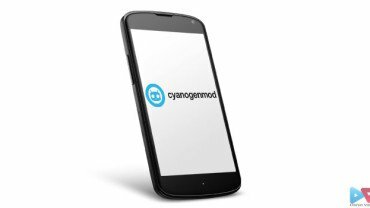 CyanogenMod or “CM” is regarded as the topmost legendary ROM, which itself initiated the concept of Custom ROMs in the Android world. Originated in the early days of Android under the leadership of the founder member “Steve Kondik“, now CM complies of around 100 worthy developers and maintainers whose hard work has led this community to support more than 100 different devices and so adding on. Today, a huge list of the Custom ROMs are based on CM and those which are not, already are keen to add its features. CyanogenMod’s current version is 10.1.0, also well-known as CM10.1.0 is based on Jelly Bean 4.2.2. It indulges the most unique features and offers great stability to your Nexus 4. If you’re one of the many who seek stability over a huge list of extra features, you should just stop searching. The ROM is released under 4 different labels namely; nightly, stable, release candidate, M snapshot and experiments. If you desire the most updated features and fixes, nightlies is what you should use. If you are looking for obsolete stability, you should hand in to stable, release candidate or M snapshots. Visit the XDA thread to interact with other CyanogenMod users and developer. Fastboot oem unlock > fastboot flash recovery recovery.img. Perform a NANDroid backup of your current ROM. Wipe data & cache partitions of your device (required when coming from stock!). Optional: Install the Google Apps addon package. 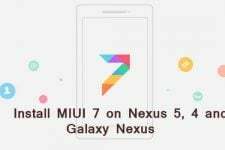 MIUI pronounced as “Me-You-I” is a Chinese Android Aftermarket Firmware developed by Xiaomi Tech. Its UI concept is based upon the idea of Apple’s iOS and Samsung’s Touchwiz. 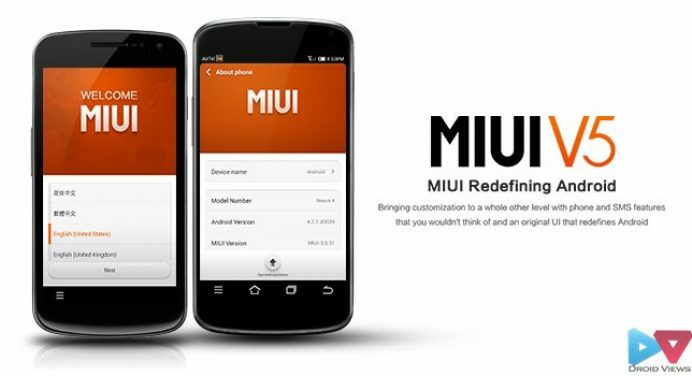 The main aim for the creation of MIUI is to provide its users with a ROM that has a heavily coded framework/User Interface and far enhanced themeing capabilities to leave almost all other Custom ROMs behind. Not just themes or UI, it also withholds some very amazing and handy MIUI apps like Gallery, Music, Clock Recorder, Torch, Compass, Calender, Backup, Permissions, MiCloud, Calculator and much more, which definitely increases the user experience, letting the most out of this ROM. MIUI is made available for the Nexus 4 (mako) via MIUIAndroid. It is still in its beta stage, being tested by MIUIAndroid Beta team, until it is made stable enough to be regarded as an official ROM. The version of MIUI to support Nexus 4 is MIUIV5 based on Jelly Bean 4.2.2. Since in Beta, you might experience some minor bugs, where I can assure the non-existence of any major issues, perfectly fine to be used as daily driver. If you’re a themer or someone who is more interested in framework modifications and features, you have yourself at the right place to just start off. It is heavily-themed and very stable at the same time. The latest release for the Nexus 4 is 3.6.28. Visit the MIUIAndroid Nexus 4 Forum Section to interact with other MIUI users and developers. No specific Instructions provided, follow this guide for detailed steps. P.A.C stands for ParanoidAndroid, AOKP and CyanogenMod, giving you the best of three worlds. The idea behind its origin is that users couldn’t stay on just one of these ROM; eventually they missed the features of the other two and so came in P.A.C to satisfy the desires of the users, to make them relish the features and functionality of all the three at one place. To make things more clear, P.A.C is not a port, it is built from source incorporating the patches from the source of each one of them. You would now have all three; ParanoidAndroid’s engine, AOKP’s ROM Control and CyanogenMod’s stability. P.A.Cman ROM for the Nexus 4 (mako) brings in CM10.1, AOKP-MR1 and ParanoidAndroid 3.60. The ROM is pretty much stable but according to the Developer, it is Work-In-Progress (WIP) so you might go through minor hick ups. Yet, it is stable enough to be used as a daily ROM for regular use and at the same time attaining most of the features available yet. It is delivered both as Nightly releases comprising of the latest merges, fixes and features & Stable builds having the last stable stage with no bugs. The latest stable is v22.2.0 -rc1. Visit the XDA thread to interact with other P.A.Cman users and developer. The above ROMs are random of their order and are completely unbaised, based on user-experience, features and popularity. If you have issues with Installing, you might want to write it down here so that we can help. Good luck and we’ll be back soon with an updated series.